Results of ‘Jamie’s Concerts’ revealed! The results of the pioneering research regarding the Jamie’s Concerts were disclosed at the Guildhall School of Music and Drama on June 12, 2017. 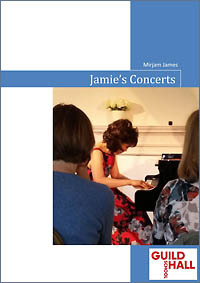 Subsidized by the Guildhall School of Music, this academic research was conducted by Dr. Mirjam James and Noriko Ogawa, pianist and founder of the Jamie’s Concert.